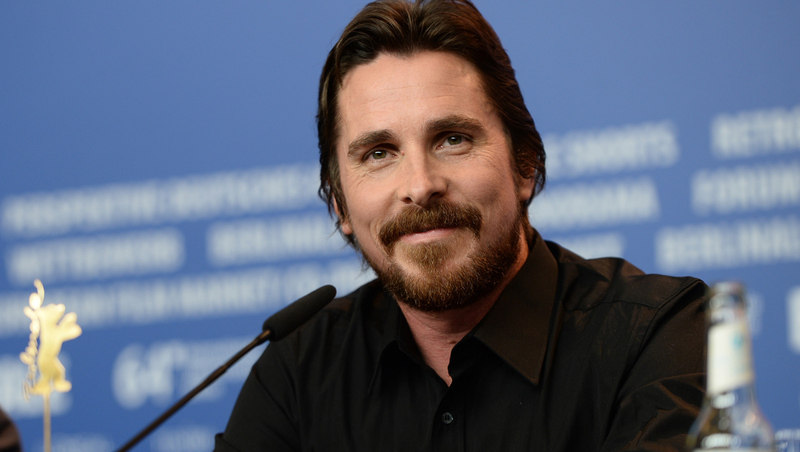 Christian Bale will play the late Apple co-founder Steve Jobs in Sony Pictures' upcoming biopic, screenwriter Aaron Sorkin confirmed Thursday. "We needed the best actor on the board in a certain age range, and that's Chris Bale," Sorkin said in a Bloomberg News interview. "He didn't have to audition -- well, there was a meeting," Sorkin added. "The role is an extremely difficult role. He has more words to say in this movie than most people have in three movies combined. And there's a tremendous amount of language. So it's an extremely difficult part and he is gonna crush it." Sorkin ("The Social Network") adapted the screenplay from Walter Isaacson's 2011 biography, "Steve Jobs." Bale was reportedly just one of the actors in consideration for the role -- Leonardo DiCaprio had also been in talks to star, per The Hollywood Reporter, and Matt Damon, Ben Affleck and Bradley Cooper were also considered. Danny Boyle ("Slumdog Millionaire") is reportedly directing the project.